Cooperative marketing is a model which may be useful for all sizes of farms, although small to medium sized diversified farms, and those making specialty value-added products, will especially find that selling as a group makes a great deal of sense. The evolution of demand in the local and regional food sectors has grown from one farmer conducting transactions with one chef; to a small scale wholesale niche marketplace in which increase in demand sponsors better market penetration when growers join forces. 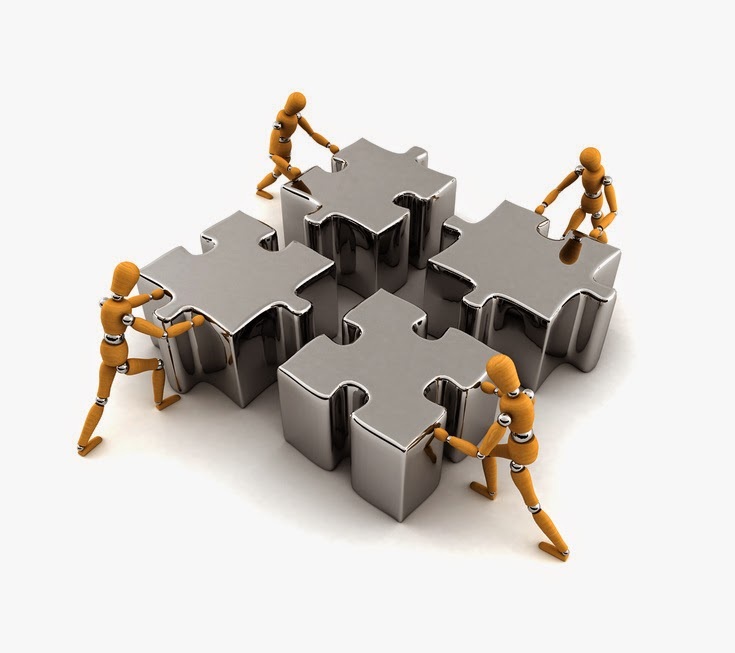 Let's explore some business benefits to marketing cooperatively. Cooperative marketing "puts all the pieces together"
Farmers have long used cooperatives and other forms of collective organization to increase their bargaining power in input supply and product markets. As membership of the cooperative grows, and the supply of quality foodstuffs becomes greater, opportunities for negotiating more favorable prices also grow. Coordinating a marketing message, branding, locale, and other shared points can assist with product recognition with customers. Using geography to create provenance (think Champagne or Parmesan cheese) can help the coop's products be recognized in the marketplace and cross the finish line at the point of sale. The fledgling cooperative effort among growers of goats and sheep for Halal processing is an example of farmers banding together to raise enough animals and support a local processing plant that will sell to a growing Muslim population - most of them NOT living in Pennsylvania. This access to customers outside the community brings dollars into local towns and local farms. Often, though not always, you can enjoy significant cost savings or command a higher price by marketing a larger aggregated volume of product. For example, marketing larger quantities of products can result in bigger contracts than if each individual marketed their own smaller quantities. Having your product available at the time your customers want to buy it is essential for successful marketing. Even the best product will quickly lose market share if it is not reliably available. This is true whether you sell directly to customers or into wholesale channels. While a single producer may not be able to maintain a steady flow of product, a group of farmers working together can extend the time their product is available and smooth out the flow in order to minimize periods of shortages and oversupply. There are two sides to every market - suppliers who offer a product for sale and customers who offer to buy it. Sometimes potentially viable markets fail to develop if a minimum volume can't be reached. For example, numerous small grower/producers in Central PA could economically produce their farm fresh and value-added products, but did not have the time or money to launch their marketing efforts. Or new slaughterhouses could be started to meet the rising demand for local, sustainably produced animal protein. If these ideas resonate with farm goals (such as penetrating new markets or finding new ways to sell product), the first step is to convene a meeting with likely partners to explore collective ideas. Pennsylvania has several resources, including Extension, to assist developing coops should a cooperative marketing model make sense.